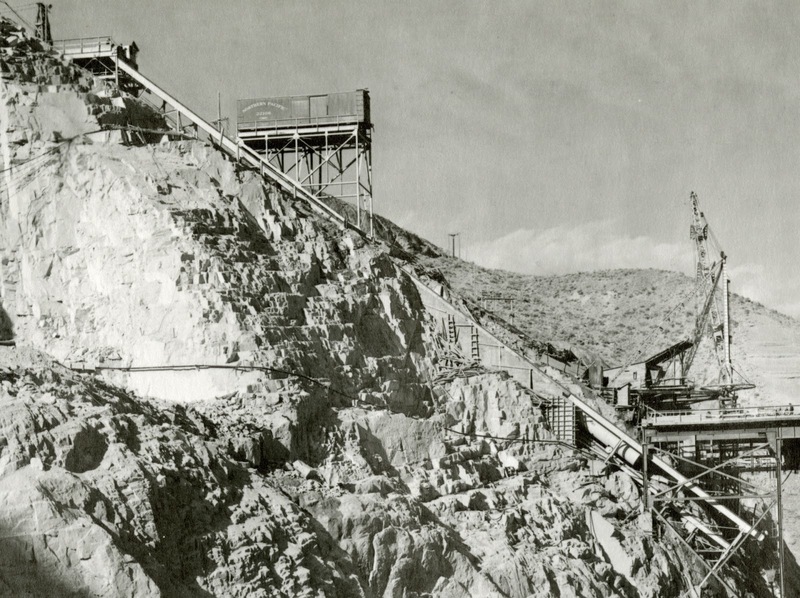 Photograph by the Bureau of Reclamation. 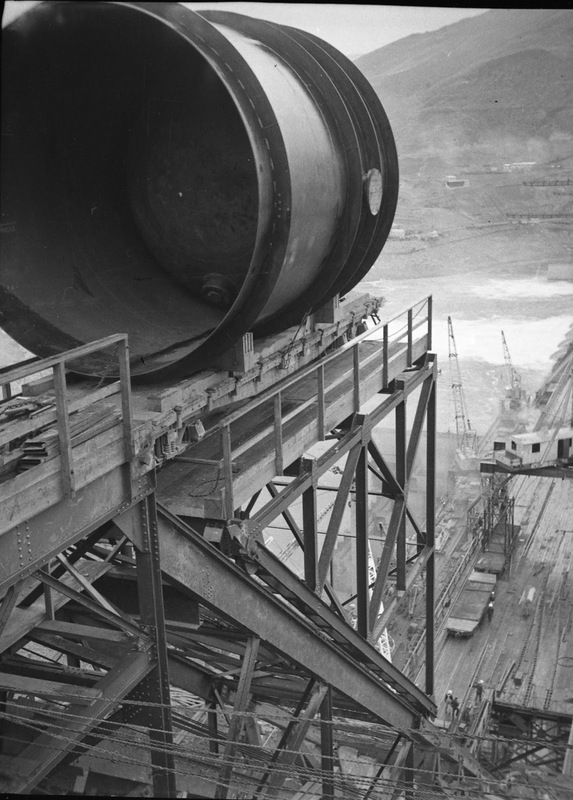 This unique photo shows the car-slip in operation during construction of Grand Coulee Dam in 1935. Built on the left abutment of the dam, this incline lowered or raised cars between the Construction railroad, at an elevation of 1310 feet, and the trestle deck, at an elevation of 1180 feet. It allowed critical loads of cement to be quickly placed near the mixing facility.